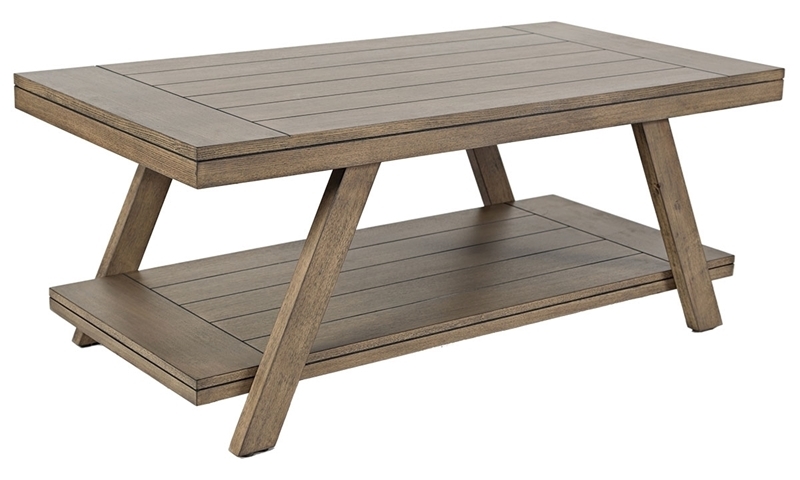 48-inch cocktail table features eye-catching angled legs, as well as plank-effect detailing on its top surface and lower shelf. Give your casual living space an edge with the Transitions cocktail table. Thin, angled legs create an eye-catching silhouette for this 48-inch piece with carved plank-effect detailing on its surface and lower shelf. Ash veneers in a warm grey finish make this table a perfect match for a variety of décor styles.